This is our free engineering textbook. This book is made available, without charge, to all. 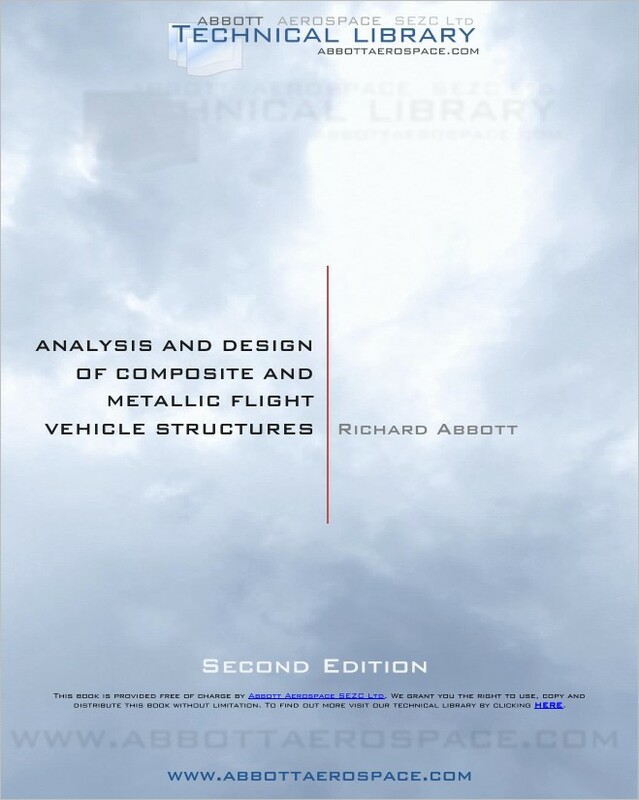 This book references only free public domain sources that are linked from the text and hosted by Abbott Aerospace. 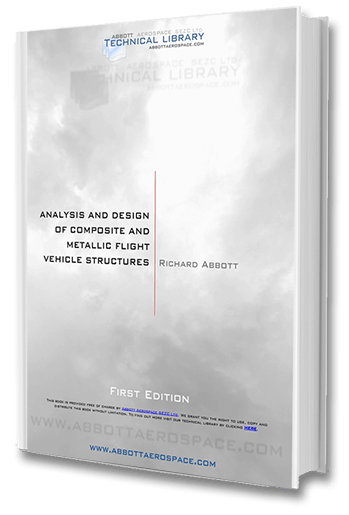 This book links to free spreadsheet methods for all analysis methods in the book, also hosted by Abbott Aerospace. Latest Version - Second Edition - Now Available. You are free to download, copy and share this book and all the linked documents and spreadsheets without limitation. Note that the first edition is still made available above. This is made available for reference only. This document is intended to provide general structures engineering guidance for the development of metallic and fiber composite aircraft parts. This book is not an academic textbook and does not show the mathematical theory behind the methods. There are many fine books that provide that information. This book is a collection of practical stress analysis methods and tools; the aim is to give useful numerical methods for basic sizing that will give an engineer the means to carry out an analysis with confidence. This document is generally applicable to part 23 and part 25 primary and secondary structures. However, there are varying airworthiness standards and interpretation of standards across different jurisdictions and consultation with the relevant local certification agency is essential. If you find any errors or would like to comment in any way you can leave a message at textbook@abbottaerospace.com. To keep up to date with the latest editions and updates you can subscribe to our mailing list.